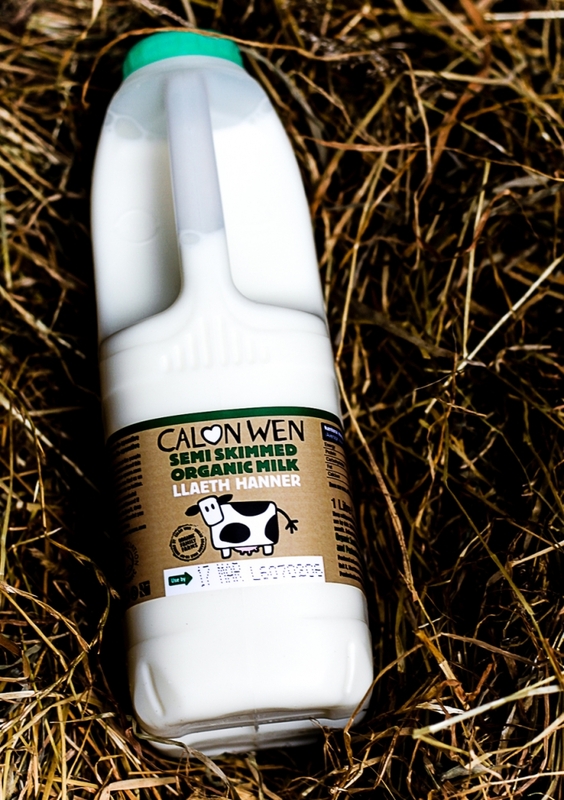 Calon Wen is a group of 18 family farms across Wales who produce organic milk, cheese and butter. 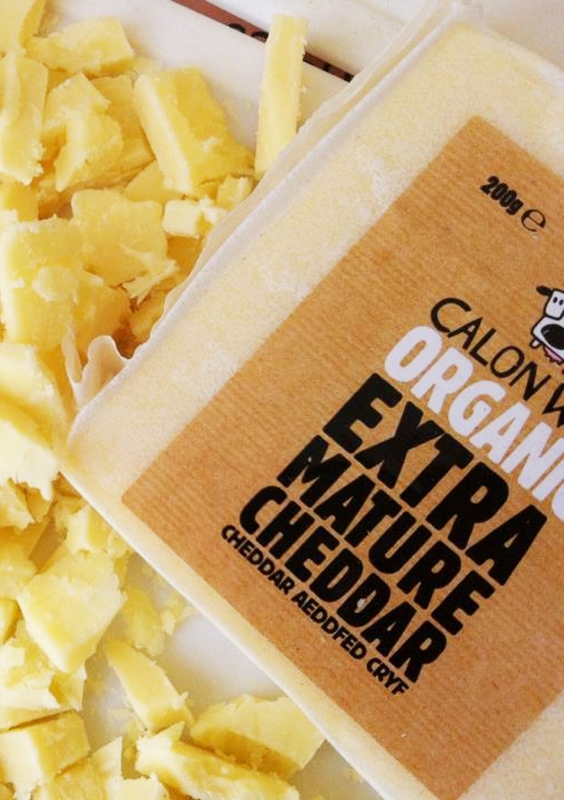 Calon Wen’s marketing team approached us to develop their already existing brand. 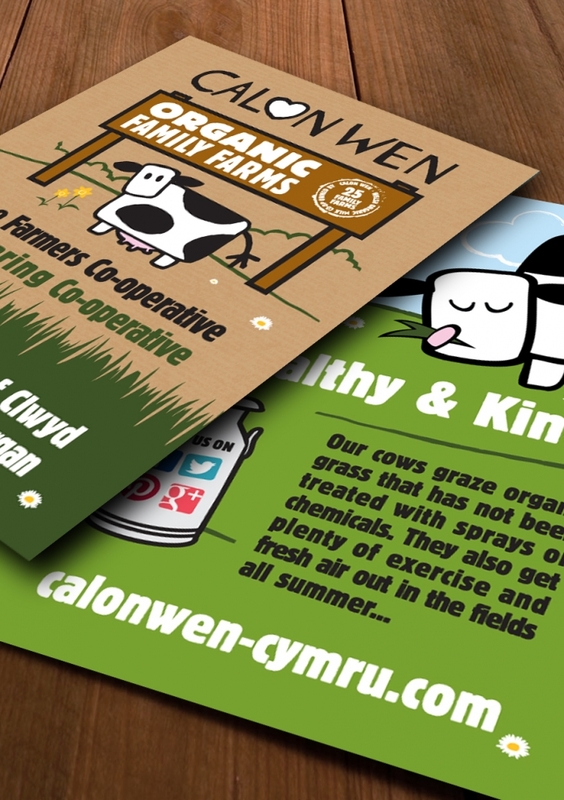 Although we can’t take credit for Calon Wen’s cow illustration, we have adapted and refreshed it over time for use in various marketing materials. 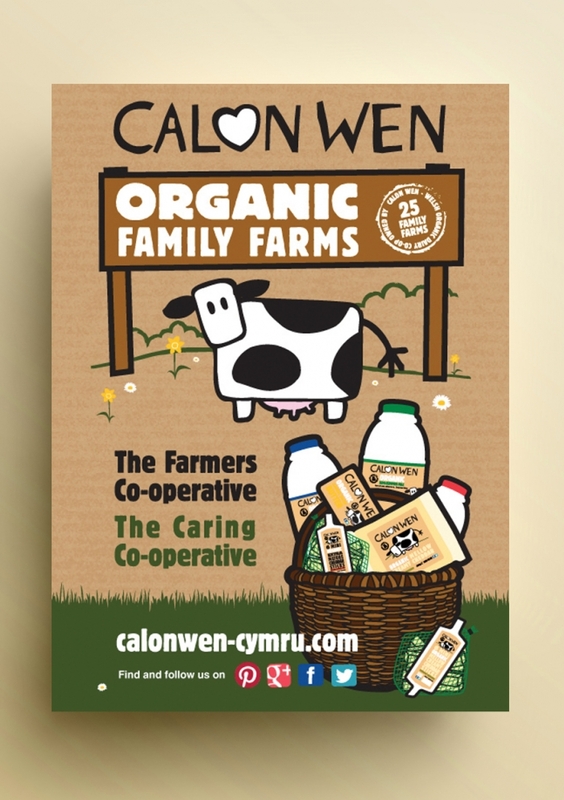 We also re-designed the Calon Wen logo to feature the ‘heart’… (Calon Wen means ‘white heart’ in Welsh). 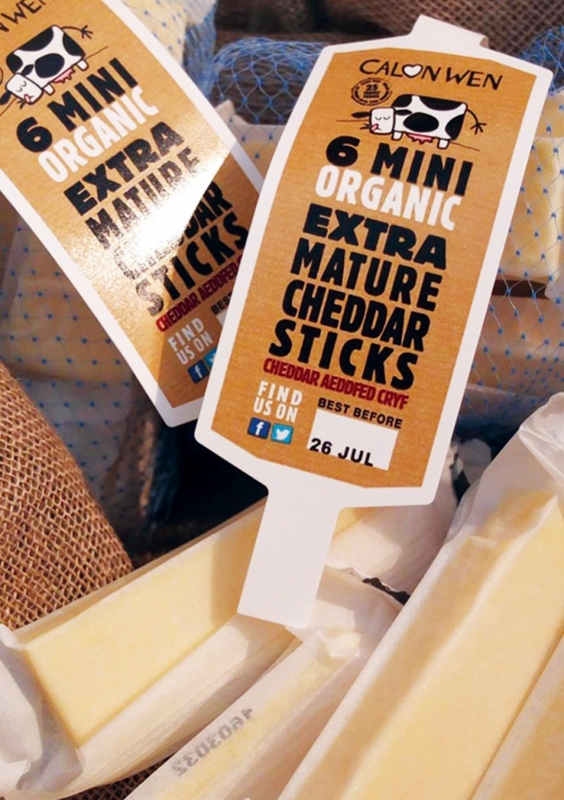 Throughout our time with Calon Wen we’ve designed P.O.S, labels & packaging for milk, cheese & butter and a range of printed and online advertising to promote the brand.